What can the richly imagined, impressively adaptable fantasy world of children tell us about childhood, development, education, and even life itself? For fifty years, teacher and writer Vivian Gussin Paley has been exploring the imagery, language, and lore of young children, asking the questions they ask of themselves. With the publication of Boys and Girls in 1984, Paley took readers inside a kindergarten classroom to show them how boys and girls play-and how, by playing and fantasizing in different ways, they work through complicated notions of gender roles and identity. This new edition of Paley's classic book reignites issues that are more important than ever for a new generation of students, parents, and teachers. 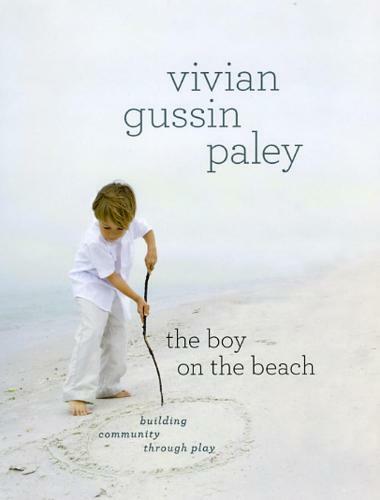 The Boy on the Beach, meanwhile, continues Paley's work, going deeper into the mystery of play as she follows a group of children through the kindergarten year. Rich with the words of children and teachers themselves, the book delves into questions new and old, reminding us that Paley's interests and approach remain as vital as ever. Both books are vintage Paley, wise and provocative appreciations of the importance of play and the nature of childhood and the imagination.